Army Sgt. 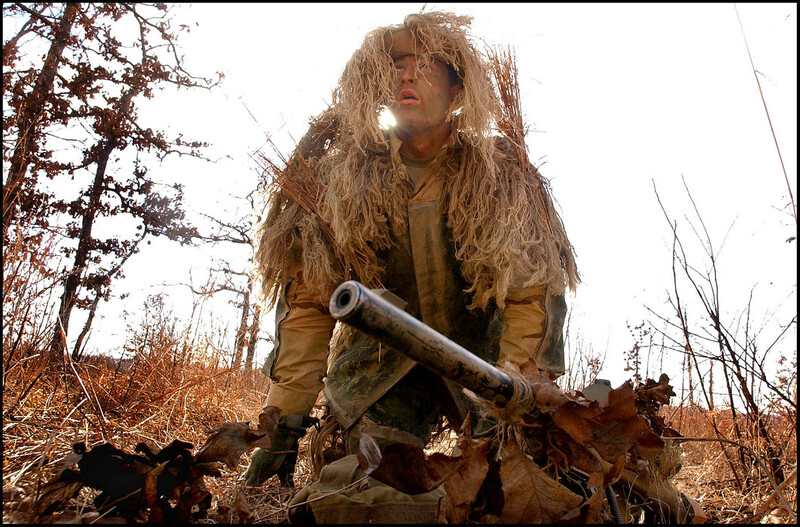 Christoper Rush, an infantryman assigned to Headquarters and Headquarters Company, 2nd Battalion, 508th Infantry Regiment, peaks over tall grass as he sets up his firing position during a stalking exercise at Fort Chaffee, Ark., while attending the U.S. Army Sniper School. During the stalking exercise students must position themselves within 300 meters of a target and engage their target with two blank rounds without being detected by instructors.